July 8th the Crossfit Central crew heads to California. For some strange reason I have a connection to California that makes me feel free. I feel light, clear, and open to unlimited possibility's. 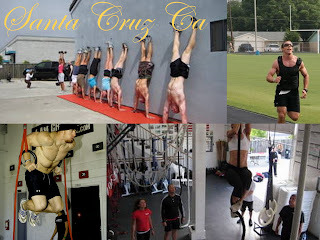 July 11th and 12th are the Crossfit Games in Aromas Ca. We rented a Beach house in Santa Cruz and I am looking forward to the breeze off the Beach in the cool mornings! Looking back this is my third time to travel to Santa Cruz in three years. Each time my life has been in such a different place. I love life and the changes that come with it!